The Gateway Pundit investigative journalist Cassandra Fairbanks interviewed three former intelligence officers with knowledge of the corrupt – criminal activity of the Obama CIA. The U.K.’s Joint Intelligence Committee was the venue used by the CIA and the DNI to share and receive “intelligence” allegedly linking Trump to Russia. The sources believe that John Brennan and James Clapper used highly classified intelligence channels to create a trail of fake evidence linking Trump to Russia. George Papadopoulos was targeted deliberately by U.K. intel operatives in a plot to trick him. 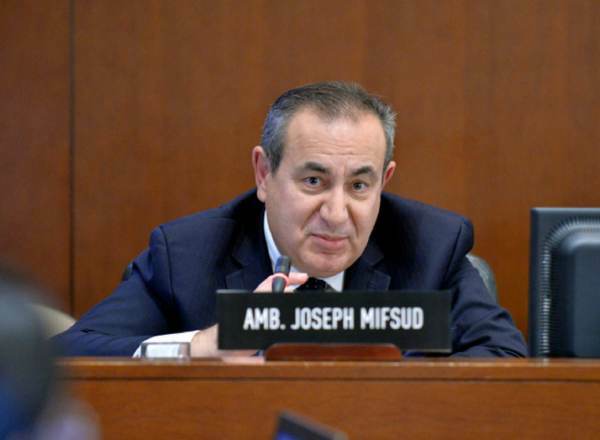 It was Joseph Mifsud, not Papadopoulos, who raised the prospect of meeting with the Russians and introduced the claim that Russia had damaging information about Hillary Clinton. Joeseph Mifsud was a British operative, not a Russian asset. The only entity that could have coordinated the entire operation was the Obama White House. Multiple former intelligence officers believe there is indisputable evidence that British Intelligence organizations—GCHQ and MI6 in particular—collaborated with the U.S. intelligence community to portray Donald Trump and his associates as pawns of the Russians. 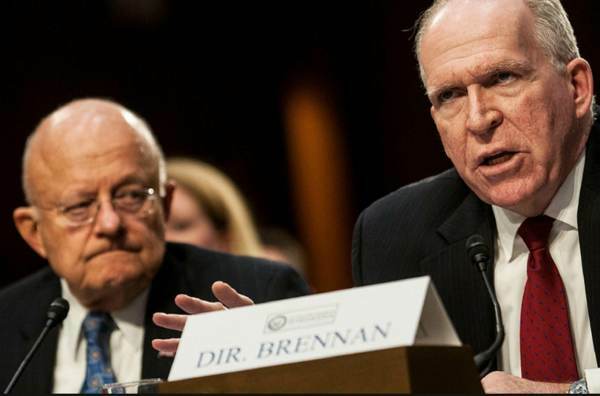 The former intelligence officers believe that John Brennan and James Clapper used highly classified intelligence channels to create a trail of fake evidence linking Trump to Russia. Based on their years of experience in the intelligence community, including overseas operations, it appears highly likely that Joseph Mifsud was a MI6 asset and that his role within the British spy service was deliberately obscured to give the appearance of him working for Russia. Multiple sources report that British intel agencies were involved actively in collecting information on Trump associates and their contacts with persons linked to Russia. The former U.S. intelligence officers, who are familiar with the operations and activities of the JIC, noted that such exchanges of information are anything but “routine.” The CIA’s Chief of Station regularly meets with the JIC and serves as a conduit for communication between the CIA Director and the UK. Generally, information derived from intercepted conversations or emails would be passed as SIGINT and normally would be classified as Top Secret compartmented intelligence. The CIA’s London Chief of Station (COS) or their senior intelligence analyst posted to the London embassy would attend weekly JIC meetings, according to one of the sources. At time, the COS was Gina Haspel, who is now the director of the CIA. These intel community insiders believe that the case of George Papadopoulos, a minor official named to the Trump foreign policy team on March 21, 2016, merits additional scrutiny because it shows evidence that Papadopoulos was targeted deliberately by U.K. intel operatives in a plot to trick him into communicating information about possible approaches to Russia via conversations with persons in the United States. In the Statement of Offense filed against Papadopoulos by the U.S. Department of Justice, he is accused of lying about his contact with Joseph Mifsud, a Maltese diplomat who was a member of the European Council on Foreign Relations and the Clinton Foundation. It was Mifsud, not Papadopoulos, who raised the prospect of meeting with the Russians and introduced the claim that Russian had damaging information about Hillary Clinton. Papadopoulos in turn relayed this information via emails and phone calls back to members of the Trump campaign. Although the FBI claims that Papadopoulos’ emails were recovered via a lawfully obtained search warrant, there is no doubt that the information was already in the hands of the U.K. and the U.S. intelligence community. The documents leaked by Edward Snowden in 2013 show definitively that such conversations were intercepted and retained by both the GCHQ and the NSA. Obtaining material for prosecution from intelligence sources that will be allowed into a court proceeding is known as parallel construction. All of these raises very serious questions that require answers. Who made the initial decision to collect information on Trump Associates? How many classified SIGINT reports were sent to the U.S. intel community? When did John Brennan and James Clapper share this information with President Obama?